Red and silver glitter stars on red. Match me with our cute Blinx glasses charms. Glitter Stars on Red eye patch for glasses, design Kay Fun Patch. 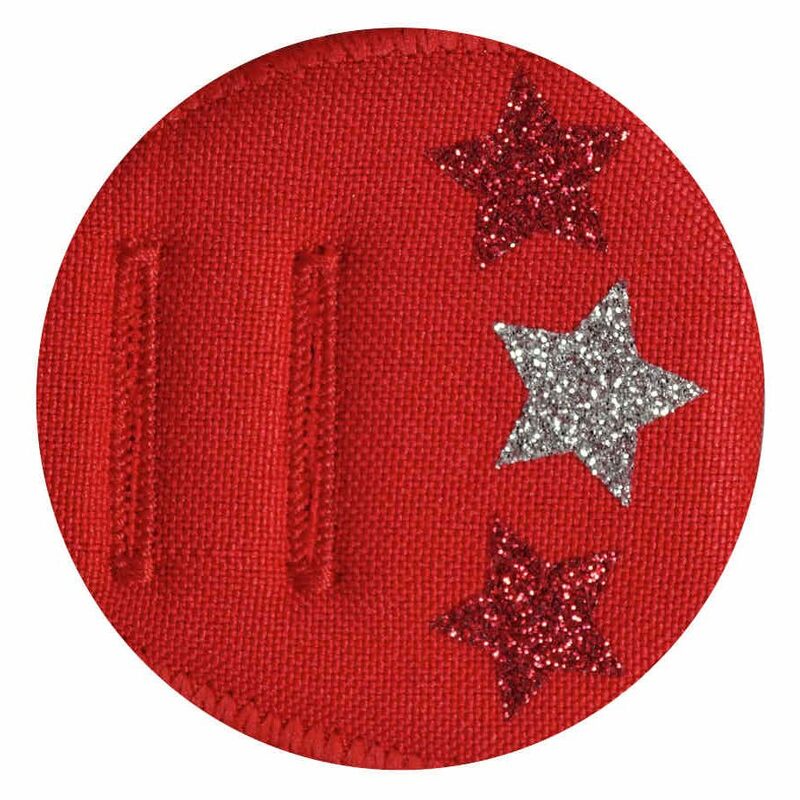 Kay Fun Patches are made from layers of material that is soft and safe to use next to the skin. The fabric designs are printed with safe, water-based inks. 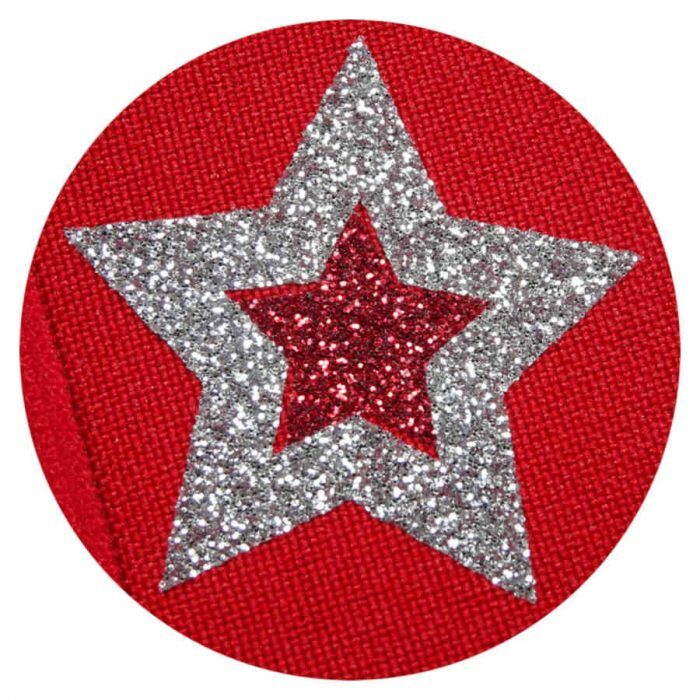 The stars use premium glitter, made from real glitter flakes with a stunning deep sparkle effect. 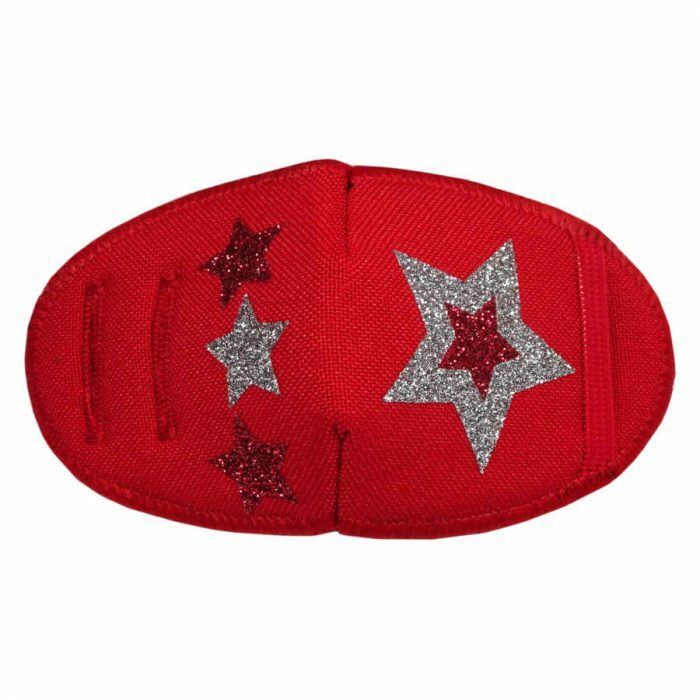 It’s unique production process ensures there is no glitter loss, wash after wash.
All our eye patches are made entirely in the UK in five separate manufacturing processes, ending with each patch being individually sewn by a skilled machinist.